>Hello, my little ducklings. Are we feeling nice and fat from turkey dinners yesterday? With everybody shopping today for Black Friday, I thought I should post a blog as a one stop shopping place to see what I do. My new book was finally released on Amazon today so that was what prompted me to do it. This is my latest book, Unveiled: Fanny Chamberlain Reincarnated. It’s nonfiction. I started writing it about the evidence and experiences backing up my own reincarnation case as Fanny Chamberlain, the wife of Civil War general and Maine governor Joshua Lawrence Chamberlain, but it evolved into my present life story and how the past has affected my present. It is a very candid, uncensored look at my life and the way I have dealt with this deeply buried part of myself known as Fanny. As I interweave the events of my present life with my past, I piece together the lessons, unresolved relationships and questions of self-acceptance to reach a higher understanding of myself, the power of love, the purpose of my life’s journey and how to use my experiences to help others. 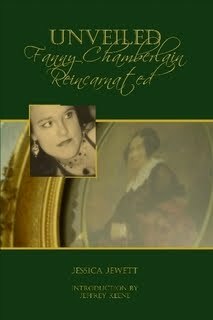 The book is illustrated with photographs of other people in my life who have reincarnated from Fanny’s life as well. Buy this book on Amazon by clicking here. 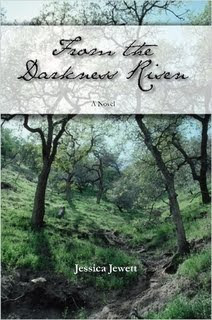 Set during the bloody American Civil War, From the Darkness Risen is a story of courage, valor and what it means to be a family. A young couple with a toddler son, the Cavanaughs endure the explosion of civil war, separation and the struggle of keeping the family farm out of enemy hands. Robert, a captain in the Stonewall Brigade, is captured during the fight at Sand Ridge, Virginia, and taken to a Union prison in Illinois. When Isabelle hears the frightening news, she abandons her post as a nurse in Virginia’s Confederate Army Hospital with futile hopes of securing her husband’s freedom. Along the way, Isabelle sees the brutality of war through her deeply religious sensitivity, and struggles with the traditional roles of a 1860s wife and mother against her desire to be something more. When her companion, Eva Reed, sabotages the dangerous escape, Isabelle and Robert find themselves fighting for their lives. Will they make it out of enemy territory alive? Mist of the Mountains is the second release by Jessica Jewett. 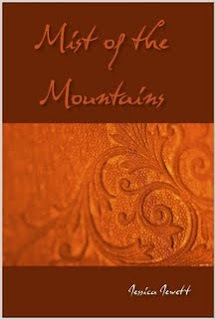 Unlike her first release which was a historical novel, Mist of the Mountains is a collection of poetry spanning twelve years, and then some. The poetry collection offers a raw, intimate glimpse into Jessica Jewett’s life, passions and battled demons. Poems are divided into three chapters – The Light, The Darkness and The Spirits. Included are exclusive poems passed down through the family penned by Jessica Jewett’s great-great grandmother, Nellie (Rulon) Newell and here great-great-great grandmother, Jennie (Ross) Rulon. Illustrated. Buy on Lulu by clicking here.